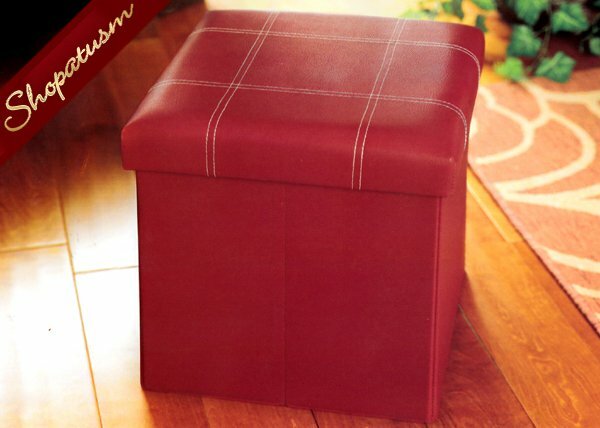 Red Foldable Hidden Storage Faux Leather Storage Ottoman. This is for an elegant red premium faux leather foldable storage ottoman with contrast sticthing, hidden storage in seconds for extra space. Black fabric interior.